Why Take High Dose Probiotics? I already have what I would call fairly good gut health and even though my experiment did improve my gut health that wasn't my main goal for doing it. I wanted to see if I could improve my tolerance to certain foods. My gut feeling (see what I did there?) is that the food that we ingest plays the most important role in regulating our mood, energy levels, hormones, and more. While we all might intuitively understand this, it's actually more difficult than it sounds to find the ideal diet for each person. Because each of us is unique in terms of our tolerance to certain foods, our taste preferences, the amount of food that we need, the ratio of macromolecules our body does best on, and so on. In my experience, both in treating myself, my family, and other patients, I've found that you can achieve great results with certain restrictive diets but it comes at a cost. The cost has to do with the inability to have variance in your diet. You may feel great, but you're stuck eating very few types of foods because you know you can tolerate them. I've found this to be true in my own health. I've tried pretty much every diet I write about on this blog ranging from the AIP diet, to the ketogenic diet, to strict paleo, to vegan, and variations of all of them. While I found out what I do best on, I also don't want to constantly limit the types of food that I can have or limit my experience in tasting and enjoying what life has to offer (1). I don't feel restricted in my diet, but I also want to push the boundaries to see what kind of things I can uncover. After all, you never know what is available to you if you don't push the boundaries! So anyway, my primary goal here was to be able to introduce new foods and to tolerate foods that I previously wasn't able to tolerate very well. The method I used to get there was high dose probiotics (very high doses). I would argue that it's fairly well known that high doses of probiotics are often better than lower doses (2) (this isn't always true, of course, but most of the time it is). You see this idea play out in new pharmaceutical companies which are producing pharmaceutical grade probiotics. These probiotics contain anywhere from 300 billion CFU per serving all the way up to 700 billion CFU. This logic, and due to all of the research I've done on the topic, is the reason that I created Gut Bomb 350 billion. Getting up to these very high doses of probiotics seem to create a "shock" to your intestinal system and my hope is that it can alter up the environment in your GI tract for the better. Originally, these high doses of probiotics (from pharmaceutical companies) were designed to treat conditions such as C. Difficile colitis, but I've found that high doses tend to work well for people without diagnosed intestinal issues. And just to put 1 trillion CFU into context, you can consider that the average probiotic contains somewhere between 5 and 15 billion CFU per serving. That means taking 1 trillion probiotics each day is approximately 66 to 200x more than most probiotics provide you with. It's like getting 5 months worth of probiotics in a short 10 day period. How did I get up to 1 trillion CFU per day? The easiest way for me to get there was to use my own probiotics and to double up on my most potent probiotic (Gut Bomb 350 billion). Gut Bomb contains 350 billion probiotics in each sachet and this route was preferable to taking 20-30+ capsules of other brands of probiotics. The only downside to using high doses of probiotics is getting them into your body. I found that mixing them with water/juice/smoothies and an immersion blender to be the best approach. In addition, because I wanted to consume my probiotics with other supplements, I could also add more volume of supplements into liquids that are sweeter (like smoothies). Gut Bomb 350 billion - 2 Sachets per day (350 billion per Sachet x2 per day is 700 billion CFU). Ultra Biotic x100 - 3 capsules per day (100 billion CFU per capsule x3 per day is 300 billion CFU). 5-15 grams of L-Glutamine powder (this is the L-glutamine that I used (link to Amazon), I think using a powder is ideal to allow you to get higher doses and to prevent swallowing too many capsules each day). 2 scoops per day of anti-oxidant red drink (greens + reds). I should also note that I kept most of my other routines the same (with the exception of my diet because I found I could actually tolerate more foods!). You'll notice that if you add up all of these numbers that it totals more than 1 trillion CFU per day. The reason for this is the fact that Gut Bomb 350 Billion is formulated with 650 billion CFU at the time of manufacture to guarantee that 350 billion is delivered when you ingest it. So, realistically, it's possible that I was consuming more than 1 trillion CFU per day but I averaged it out to around that amount. Through this 10 day period, I also consumed at least 19 different strains of probiotics with the highest doses of the most well known and studied strains and subspecies of probiotics. My current feeling is that, when it comes to probiotics, more diversity in the species that you are consuming the better (which is why I choose this route). Total = 350 billion + 350 billion + 300 billion = 1 trillion CFU per day. The dosing is probably not as important as just making sure that you get up to 1 trillion CFU each day. I don't think it would be a good idea to take all 1 trillion at the same time which is why I spaced them out. Taking some probiotics right before bed is another strategy I used to help improve digestion and sleep and something I will probably continue with. Okay, so back to my improvements for a moment. I found out (somewhat accidentally) that taking these high doses of probiotics helped me to tolerate dairy products quite well. I've never talked about my own personal diet before but I can't tolerate dairy products or gluten very well at all. I will occasionally have cheese (like when we have a family pizza night) but I always suffer the consequences of abdominal pain and usually increased abdominal bloating (4) as a result. I found that while using the probiotics that my symptoms when consuming cheese cut down by around 80%. This was huge for me and once I figured out that it was working I actually started to use a little bit more. Even despite the huge increase in cheese (3-4 times in the 10 day period) my stomach was doing great. Another benefit I found was an increase in appetite. My wife uses Gut Bomb to curb her appetite, but I'm actually trying to gain weight (muscle mass). While using these high doses of probiotics I found that my appetite had increased and I was consuming larger amounts of healthier foods. The short 10 day period is too small to determine if this will help me increase my weight or not, but it's worth mentioning. In addition to all of these, I also experienced an improvement in my mood (pretty good at baseline but it made me even happier), better sleep (which is something I'm always trying to improve), and better digestion (fairly good to begin with). The benefits are definitely enough to get me interested and to experiment again in the future (I'm not even convinced that I'm the best ideal candidate for this type of cleanse). Obviously, this isn't a cheap experiment. 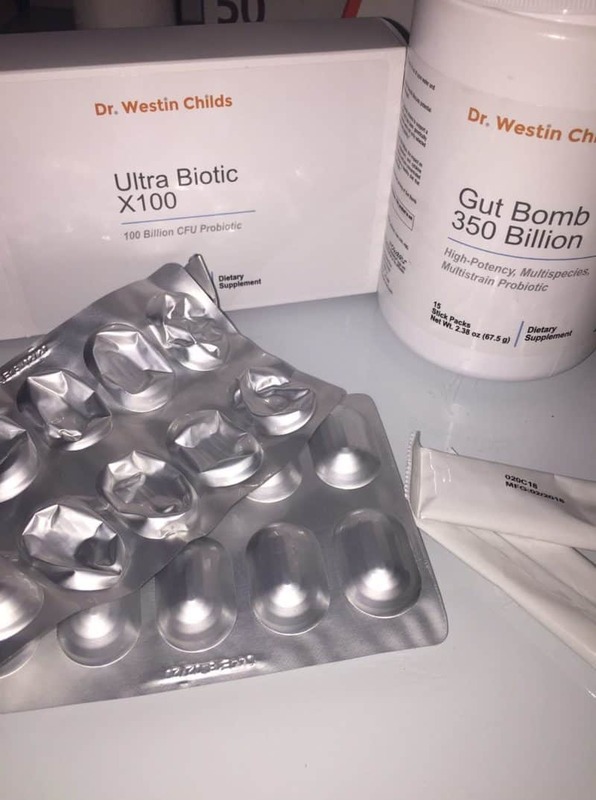 The total cost required to do this experiment is the cost of 2 Gut Bombs ($97.50 each) and 1 Ultra Biotic x100 ($69.25) bringing the total to around $264.25 for this 10 day reset. It's easy for me to do this because I have a near unlimited supply of probiotics to choose from! While it's not inexpensive I definitely think that it was worth it and I certainly plan to do it again on myself. I'm also going to experiment on some family members (and some of you if you're up for it) to see what kind of results I can get. I'm going to see how long the changes I've experimented will last and then go from there. I'm thinking that perhaps another 10-day gut cleanse will be in order in about 2-3 months or so. The only change I would make in future iterations of this 10-day gut cleanse is to have a specific set of foods to eat while doing it and add in some other supplements (especially prebiotics). In addition, I think a minimal amount of fasting would also probably be beneficial. I think rounding out the 10 day cleanse with these additions would make the results even more positive. I can't answer for you, nor would I make a recommendation about your health on this medium, but I can say that I definitely enjoyed doing it and will be doing it again. I plan to run some of my family members through it, especially my wife who is currently breastfeeding. I want her to re-vamp her GI tract while she is breastfeeding to give the baby a good foundation to stand upon (although I think he is doing great as is). I have a feeling that this type of protocol will be ideal for those suffering from GI-related conditions such as IBS, constipation, acid reflux, and so on. I also believe it would also be ideal for those with autoimmune conditions (Hashimoto's, etc.) and those who are looking for weight loss. On the topic of weight loss, I think experimenting with high dose probiotics, diet, fasting, and other supplements will probably result in both improved fat loss with improved muscle building. I would probably not recommend this protocol to those suffering from SIBO (at least not until they go through a bacterial elimination phase). If you enjoyed reading about my experiment then you'll probably enjoy some of my future experiments. Most of the time I don't write about these experiments but I figured it would be a good idea to get some feedback on what types of problems you are facing so that I can find experiments designed to help you. 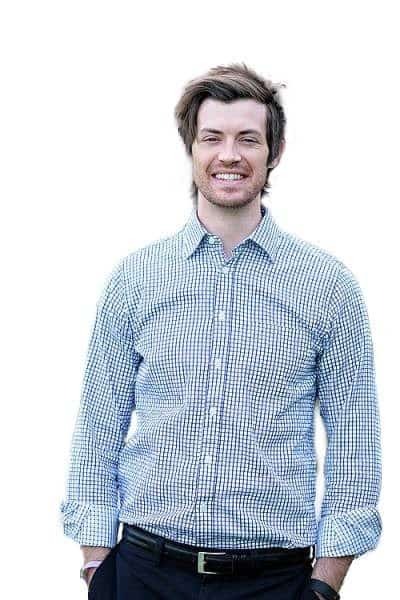 My goal with my experiments is to find therapies and protocols which can be replicated and which provide results to you. This is the exact same way I came up with the therapies listed in my weight loss guide (I actually tried them on myself and about 5-10 others at the same time and found we all had amazing results). It seems that using high dose probiotics have a potential benefit in improving the GI tract and improving my tolerance to certain foods. I'm particularly interested in helping people expand their diet and the foods that they have available to them which is why I wanted to share this experiment. I think that by addressing the gut we can go a long way to improving our health, mood, hormones, and more. Have you experimented with high dose probiotics before? What kind of side effects did you experience? Do you feel it helped you?